Whether you are looking for natural and earthy branding, an affordable option or an environmentally-friendly alternative, our kraft business cards have got you covered. This range of environmentally conscious recycled kraft and old school vintage stock was created with retro, hipster, organic, country and rustic branding in mind. The stock provides a personalized and handcrafted feel, perfect for creating refreshing, unique and memorable business cards. Choose from our wide selection of top quality raw, textured and uncoated stock options, in a variety of thicknesses, styles and earthy tones. For a touch of luxury, add impressive special finishes to the humble kraft tones. We recommend utilising hot stamp foiling, raised ink or laser markings for stunning results. The smooth kraft stock with subtle textures and tones of earthy browns oozes rustic charm and character. The stock comes in 300GSM (19PT) thickness. The affordable stock looks ultra-luxurious when matched with hot foil stamping, as it contrasts beautifully and allows the foil to stand out extra bright. Economy Kraft also matches well with raised ink printing for a premium touch. Holding the buffalo board card makes you feel like you are holding a mini board in the palm of your hands. 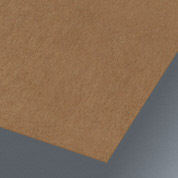 This natural textured stock comes in a range of thickness, ranging from 224-385GSM (15-29PT) to 385GSM (29PT). This humble stock becomes a showstopper when matched with the impressive laser marking technique. Buffalo Board / Stock: 15 PT / Size: 3.5 x 2 in. 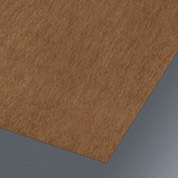 The Just Kraft stock provides the same rustic, earthy vibe due to the natural texture and mix tones of light brown. However, it has a subtle finer, smoother and brighter finish. This stock comes in 161GSM(7PT) and 440GSM (26PT) thicknesses. We recommend adding hot foil stamping for a sophisticated finish. The Coco kraft is a classic kraft stock. This stock comes in two colors, dark beach brown with specs of dark brown and smooth creamy beige. The stock comes in 300GSM (16PT), and it is also available in 120GSM (7PT) thickness. Create a fun vintage or retro vibe by adding color foiling and raised black ink printing. This stock has raw textures and a smooth finish, with rich maple undertones. The stock is available in a range of thicknesses from 225GSM (15PT) to 459GSM (29PT). If you are choosing a thicker stock option, we recommend paying attention to the finer details by adding edge coloring or foiling for an impressive result. Similar to the classic ‘chip and dip’ combination, Maple Kraft also goes famously well with metallic hot stamp foiling. With subtle ribbed pattern and textures, the ribbed kraft is a recognisable favourite. The unique stock is made in Germany, and imported by our team of stock specialists. The raw and unbleached stock comes in 300GSM (19PT) all the way up to the heavy-duty 600GSM (38PT). A perfect candidate for letterpress finishes.